How Much Does Badoo Cost? How To Delete Badoo Account? With 412 million users worldwide, Badoo offers newcomers to join their diverse dating community. 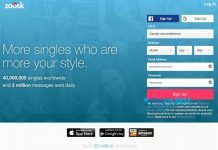 Launched in 2006, Badoo still is a new app for many singles. Let’s learn more about Badoo and how to find true love through the dating app. Badoo is a free dating website that has the extensive social network of users. Badoo makes communication between strangers easier by offering many features and tools. 2016 was the successful year for Badoo: their mobile application became the most downloaded dating app of the year. 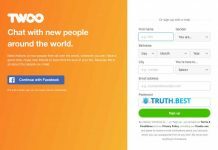 Keep reading to figure how Badoo works and why it is so popular. The sign-up process is where everything starts for you. Badoo is developed to anticipate the behavior of the users. But, no matter how intuitive the app is, you need to provide some essential info about yourself to let other users understand what you are looking for. Also, add your photo to complete the sign-up process. After you created your profile, you can proceed to Encounters game. You need to choose ‘yes’ for the members you like or ‘no’ for those you want to skip on. If both you and another person voted ‘yes’ on each other, there is a match, and you can start chatting. To view the list of all the members who voted ‘yes’ for you, go to Liked Your folder. You can also send a Crush to a user. Crush lets the member know you like them a lot. Use your credits to send Crushes to as many users you want to. Note that you can’t unsend the Crushes. Premium also allows you to get rid of all ads to use Badoo without any distractions. To upgrade to Premium, you will need to pay $9.99 a month. Six months Premium subscription will cost you $34.99. To delete your Badoo account, go to Settings of your profile. Scroll down and select Delete Account on the bottom of the page. Follow the instructions that appear to delete your profile permanently. 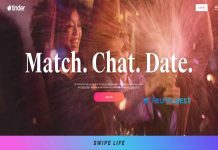 With 60 million monthly active users, Badoo grasps the vast audience. Badoo members are mostly youngsters who are into casual dating and flings. Although the 35+ people will still be able to find someone of their age on Badoo, the older generation may come across less and less like-minded people. The broad audience of members and simple, yet, compelling features makes it very easy to use the Badoo app and find the one to start communication with. 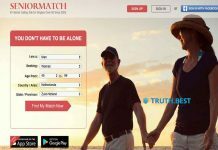 You don’t need to complete a long and tedious questionnaire for the system to find your match. Badoo is perfect for casual dating, and it is exactly what young people now search for. That’s why Badoo is so popular these days. And we certainly recommend you giving it a try.